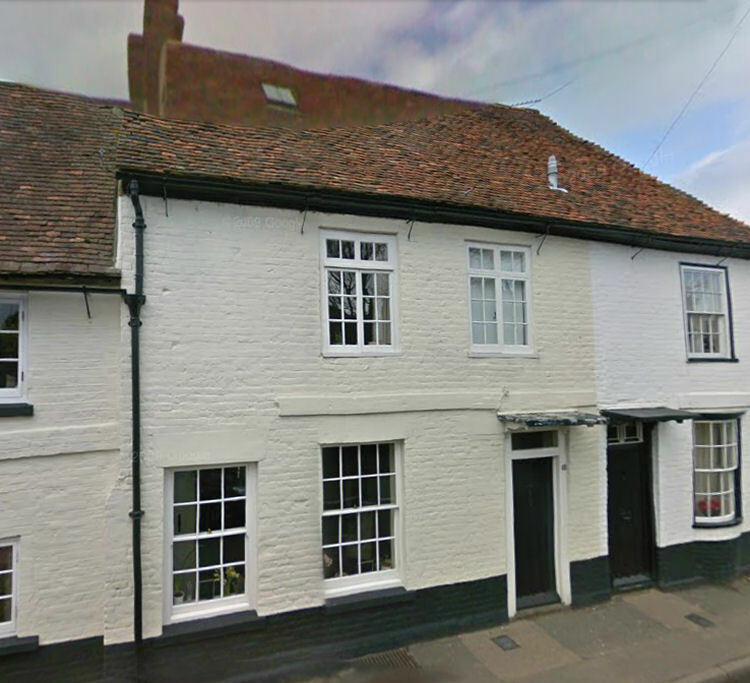 Above picture taken from Google March 2009 shows number 48 High Street which according to "Littlebourne Conservation Area Appeal June 2005" is now called "Forester's Lodge" and used to be the "Forester's Arms. Only seen this mentioned twice in the Dover Express so far. From the Dover Express and East Kent News, Friday 22 March 1912. A transfer of the licence of the "Forester's Arms," Littlebourne, from R. Booker to J. Smewing, late of the "Duke of York," Sandgate, was granted. From the Dover Express and East Kent News, Friday, 8 February, 1924. Price 1½d. Supt. Ford, Home Division, reported that there had been one conviction against a licensee and one non-resident female convicted for drunkenness (consuming methylated spirits), this being the first conviction for eight years. He had been instructed by the Chief Constable of Kent to oppose the renewal of the licence of the “Forester's Arms,” Littlebourne. The Chairman said that he was pleased at the satisfactory reports from the Police. The licenses would all be renewed with the exception of the “Forester's Arms,” Littlebourne, to which the Police were objecting. Supt. Ford contended that the licence was not required. The house was 103yds. from a beer house and 600yds. From a fully licensed house. The licence was continually changing hands. When he served the notice on the licence, he said that trade was very bad. He was losing money, and he had to go out to work when he could get it. Whitstable Times and Herne Bay Herald, 29 November 1924. A meeting of the East Kent Compensation Authority was held at the Sessions House, Longport Street, Canterbury on November 17th to approve the awards agreed as regards three houses which have been referred for compensation. Lord FitzWalter presided and was supported by Messrs. W. A. Lochee, C. E. Bass, N. A. Poole, A.G. Iggulden, C. Igglesden, and A. H. Godfrey. The following were the awards "Foresters Arms," Littlebourne (beer house,) £405, in the proportion of £355 to Messrs. Mackeson and Co., Ltd., Hythe and £50 to the tenant, James Payne.